In a time of technological, economic and cultural change, Lake County, Ohio, is not struggling to define itself. It is very comfortable with its identity as a blue-collar, manufacturing center. There’s good reason for that viewpoint. Lake, which sits just east of Cleveland, was built on manufacturing and that sector remains its economic heartbeat. Nearly 19% of the employment in the county comes in manufacturing, above the state (15%) and national (10%) averages. Lake’s residents will tell you there are good jobs to be had here in the factories of today, no college degree required. In fact, some local leaders say that too many local kids are going to college — and not coming home. Lake Erie lakefront path at Painesville Township Park in Lake County, Ohio. In many ways, including those mentioned above, Lake fits the profile of a Middle Suburb, one in a collection of aging, largely white communities located in the inner ring of metro areas through the Industrial Midwest. It’s been slower to diversify, ethnically and racially, than other urban areas. It’s also been slower to add population, with a number that’s been flat since 2010. And like other Middle Suburbs, Lake seems to be more comfortable holding onto its past than embracing change. The Middle Suburbs hold some advantages in the County Health Rankings data – and Lake does as well. People in the Middle Suburbs are the most likely of any communities in the American Communities Project to have health insurance; only 7% lack insurance, in part due to union retirement plans. And the Middle Suburbs are less likely than other major urban community types to have severe housing problems, 14% versus 21% in the Big Cities. But communities like Lake also have the highest drug overdose rates, 26 per 100,000 people. They are also aging faster than other urban areas: 17% are 65 or older. They tend to have below average rates for four-year college degrees, particularly when compared with other urban locales. Driving through Lake County, one can sense how greater Cleveland developed. On the western edge of the county are streets lined by small post-WWII construction homes, little Levittown bungalows. Further east are small towns that have been absorbed by suburban sprawl and eventually areas where suburbia transitions into tree-filled, almost rural territory. But much of the population is clustered near the Cleveland border and along the shore of Lake Erie to the north. If there is one word to describe the scene it’s probably stability. Lake looks and feels like a place that hasn’t changed much in recent decades. In fact, the county’s flat population growth has real-world impacts. “One of the challenges we have is our population has been stagnant for about 15 years now. That stagnation has cost us the highest bond rating with Moody’s,” says Jerry Cirino, a county commissioner. “It’s like a company getting a bond rating. If there’s a ceiling to how many customers you have, you’re going to be deemed as not-so-credit-worthy.” And the population is aging rapidly. If nothing changes, by 2030 a third of the population will be seniors, Cirino says. The net result, he says, is actually a shortage of employees for local businesses. 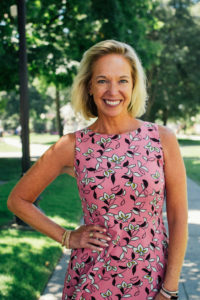 “We’re sending too many kids to college, OK? … I haven’t had one employer tell me they can’t find a marketing manager or an accounting manager.” What they need, he says, are employees to work in the high-tech, floor jobs of modern manufacturing. Part of the issue is young people who go away to college and don’t come home and another part is the ones who stay behind increasingly have other problems, such as drug addiction. Most conversations about the health of the community turn to the topic of opioids. Lake County’s drug overdose rate in the County Health Rankings — 31 per 100,000 people — is higher than the median value for Middle Suburb counties overall. Moreover, the Middle Suburb number — 26 per 100,000 — is the highest of any type in the ACP. The overall opioid caseload in the Lake County crime lab jumped from 1,161 in 2013 to 1,502 in 2017. Those kinds of stats grab people’s attention. In Lake, that attention is leading to a different approach — one that treats opioid addiction as a chronic condition as opposed to an acute one. The Lake County General Health District has developed a framework to help it model opioid addiction. The group plans to use data from the Centers for Disease Control’s Behavioral Risk Factor Surveillance System (BRFSS) to look at co-mingling factors, ranging from smoking to depression to social support networks, to help where its affected population is and where it could be moving. Mapping the population can help the public health team figure out where it needs to stock life-saving naloxone, which can reverse an overdose. At the same time, Lake is trying to address the opioid issue before it becomes a problem for young people by working with schools. The opioid crisis largely centers on adults, but many of them are also parents. That means children experience the problem as well, often in their daily personal lives. They need early in-school intervention and different kinds of services, says Kimberly Fraser, executive director of the Lake County Alcohol, Drug Addiction and Mental Services Board. A decade ago, the county’s schools wouldn’t have wanted those services, she says. Rather, their administrations would have argued they didn’t have a drug problem. But times have changed — and that’s a hopeful sign for Lake, she says. “If we can stop the 8-year-olds from ever going down that road, that’s how we’re going to stop this,” she adds. 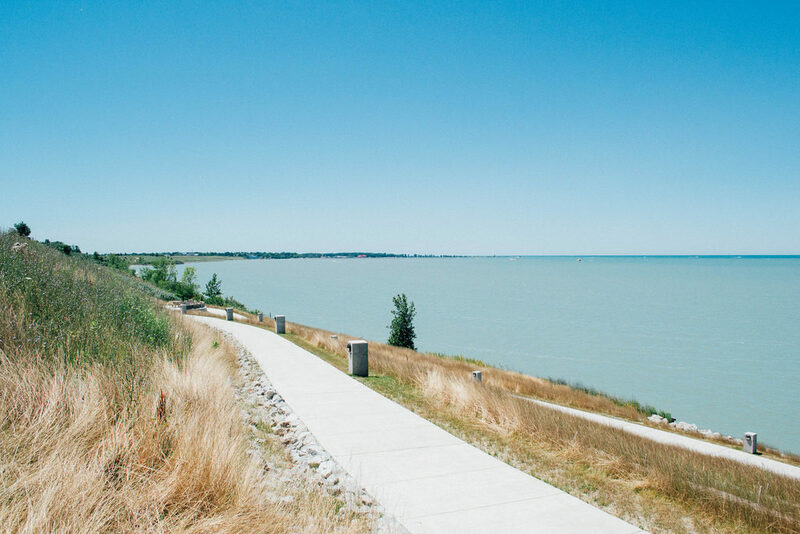 Headlands Beach State Park in Lake County, Ohio, offers visitors a tranquil place to take in views of Lake Erie. Currently, the aging of the community is the primary focus. 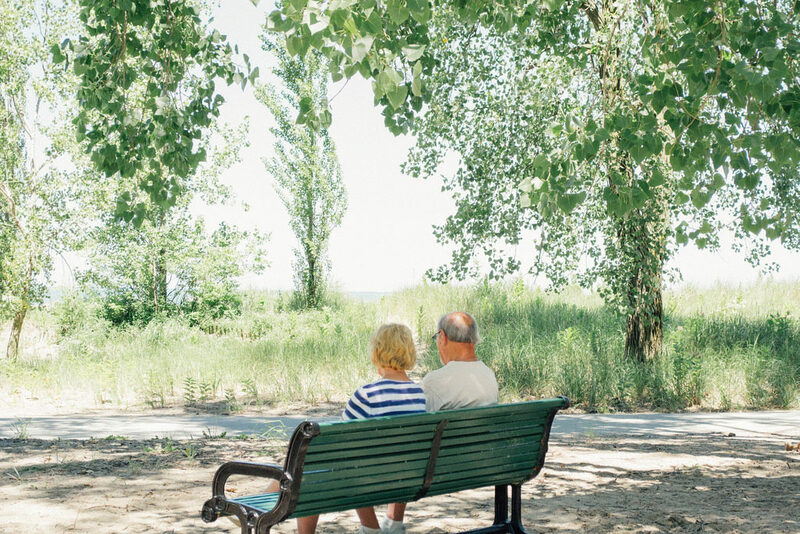 The aging population needs specialized services and different ways of thinking about health. The county must also consider what comes next for its health infrastructure and its housing. 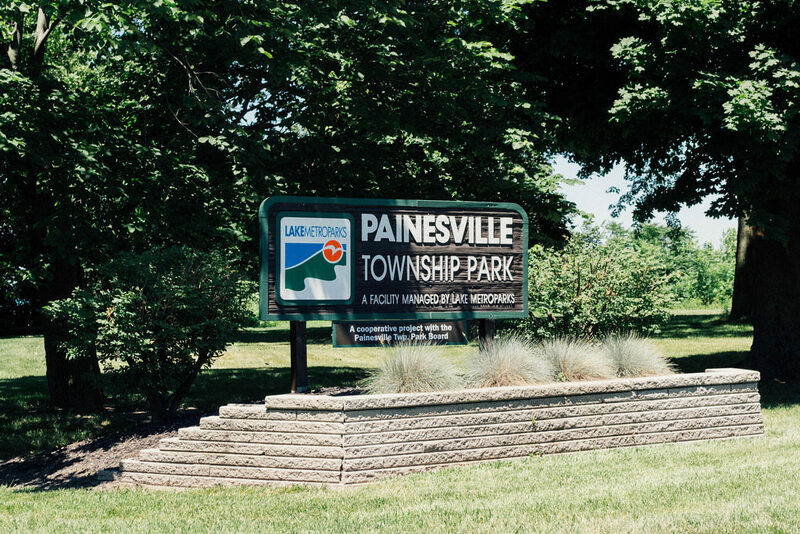 A park in Painesville, the county seat of Lake County, Ohio, managed by Lake Metroparks, which aims to preserve the county’s natural resources and provide educational and recreational programs. “From a health standpoint the aging of the community certainly creates a lot of opportunity for people to pursue wellness activities, but it definitely creates more challenges for the providers in the county,” says Bob Diak, the chief operations officer of the Lake County YMCA. The Silver Sneakers program, which provides free gym memberships to seniors at participating facilities, has mushroomed in Lake, Diak says. The exercise facilities are reimbursed by Medicare Advantage and Medigap providers. That time at the gym is crucial, Diak says, to stave off another challenge that comes along with the aging population in Lake, diabetes. The goal, he says, is to help people to understand if they are pre-diabetic so they can be treated and act before the disease fully takes root. The Y has a diabetes-prevention program. However, the program only qualifies for federal government reimbursement if people enroll when they are pre-diabetic. The Y’s leaders says it can be difficult to get people to buy into the program early enough. One obstacle is seniors often don’t get to know the health system until they need it — and that’s too late. County health experts estimate that 20% to 25% of the population does not have a primary care physician, which makes it difficult for them to engage with the system when they need help. The Lake County Council on Aging, a nonprofit, community organization serving Lake County’s seniors, their families and caregivers, has intervened by performing in-home checkups on citizens — mental and physical. Intervention often starts with a visit from Meals on Wheels, which then leads to a larger in-home assessment with licensed social workers. And the council is reaching into more homes as the population ages. From 2016 to 2017, the Council on Aging saw an 18% increase in the number of meals requested and served in the county. Much of the success Lake County has had with the senior population comes from knowing the population, talking to residents and planning. In 2016, the Council on Aging produced a strategic plan for the near future, Vision 2020, that outlined a list of 10 goals it hopes to address. It’s following this blueprint now. 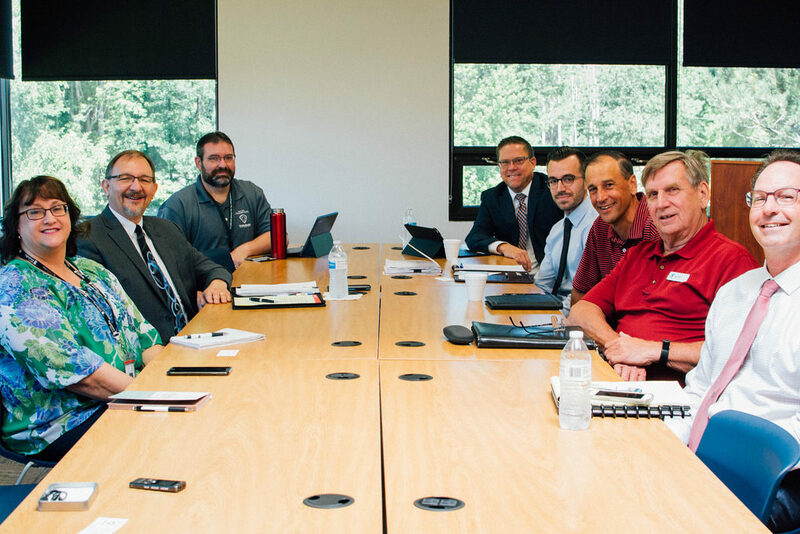 The growing senior population and lack of population growth have also spurred questions about Lake’s next generation of leaders. “I don’t know if millennials see their place yet in the county,” says Jessie Baginski, CEO and president of Leadership Lake County, an educational nonprofit whose mission is to develop and engage current and future leaders in the community. 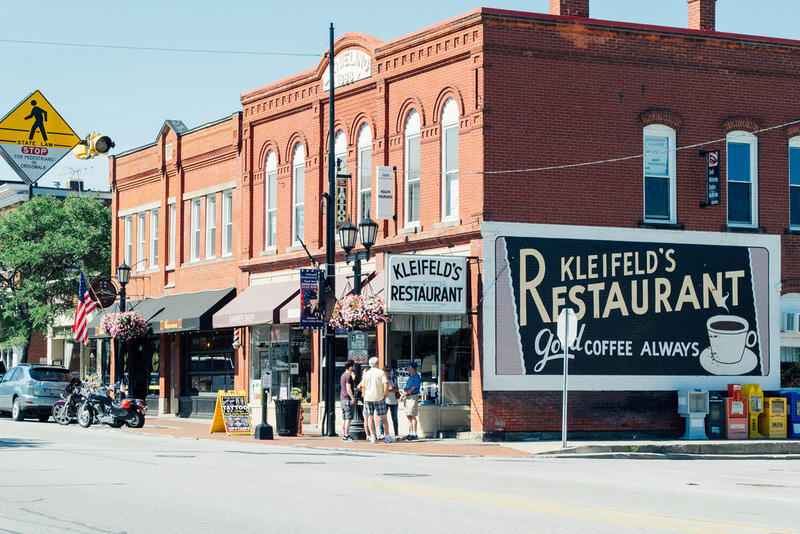 “When you’re in a suburb like this and you’re a young professional and you don’t know a lot of other young professionals, you don’t know where you fit in.” Nearby Cleveland has nightly events for young workers to meet and mix, but those opportunities are rarer in Lake. It’s important, she says, because strong institutions like those in Lake need succession plans. It’s impossible to carry on a healthy business or organization with a next generation that’s unprepared. Other facets of Lake’s aging problem are more complicated, such as the buildings that line its streets. Like many near-in Middle Suburb communities, Lake’s biggest period of expansion came after World War II. 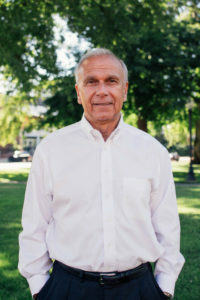 Between 1948 and 1956, Lake County grew by an astonishing 200%, says Rantala, the executive director of the Port and Economic Development Authority. Those bungalows were heaven on earth to the young families who moved into them 60 years ago, but for today’s first-time homebuyers they look hopelessly out of date. Their small spaces are divided into too many little rooms, and their interiors don’t offer the marble/stainless kitchen and subway-tiled bathrooms. What’s to be done? Rantala’s organization developed the Better Flip initiative. Listen to Mark Rantala, executive director of Lake County Ohio Port and Economic Development Authority, discuss the Better Flip initiative to encourage millennials to make their homes in Lake County, Ohio. The development authority purchased one of the old homes and is completely renovating it to show what’s possible with a little work — and some money for a good contractor. It’s a specific design that removes one of the bedrooms, creates a larger living/entertaining space, including a kitchen with an island, as well as a master bedroom with a walk-in closet. 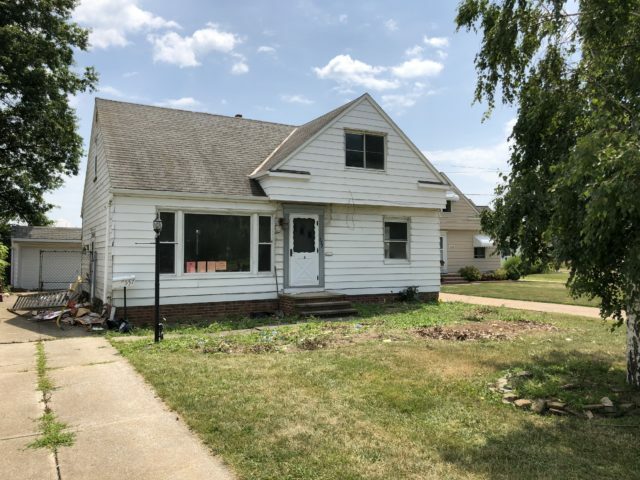 A small, white home in the Lake County town of Willowick was chosen for the experiment and interior demolition began this past summer. The Lake County home that officials are remodeling under their “Better Flip” initiative. The neighborhoods have much of what young people say they crave: sidewalks, retail and nearby neighborhood schools, Rantala argues. The total cost, purchase and remodel, he estimates, will cost around $150,000. With individual choices, it could run a bit more, but the price is still low by the standards of a large metro area. Lake County, like other Middle Suburbs, is comfortable leaning on the manufacturing jobs that built its growth in the past. But in the future, the community’s broader economic and social health may hinge on how much it can change. 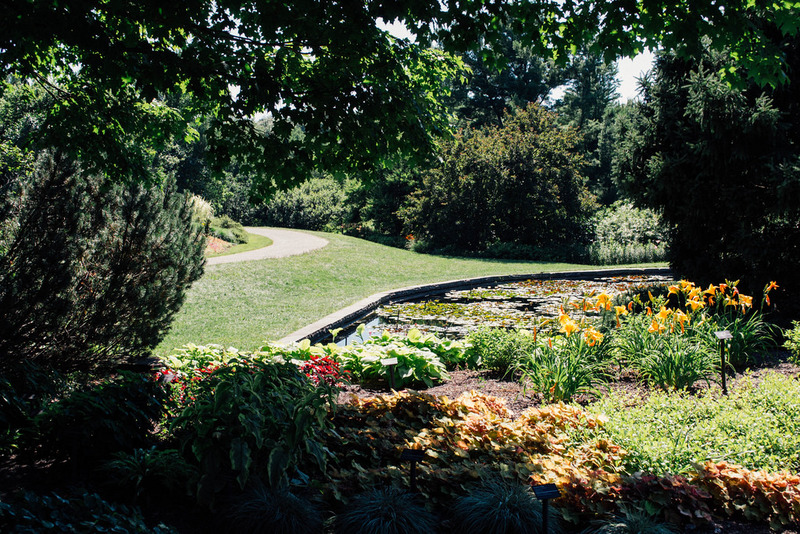 In Kirtland, Ohio, a small city in Lake County, sits The Holden Arboretum, one of the largest arboreta and botanical gardens in the U.S., with some 3,500 acres.